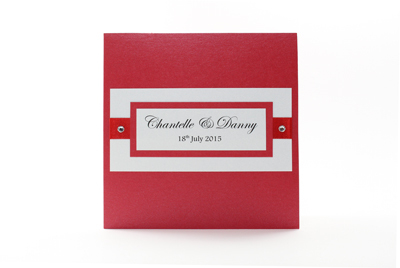 Happy Heart is a bold range of wedding invitations, easily suited to a bright colour choices and works well with Chinese themed weddings. All our Chinese wedding invitations is available in a wide range of card and ribbon colours to complement your wedding theme. 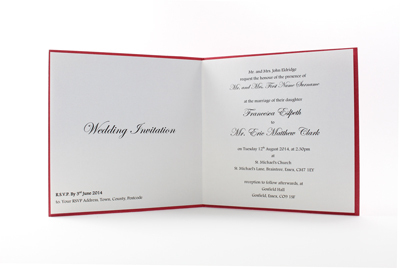 The Chinese wedding invitation example shown is made using Jupiter and Dolomite pearlescent card. The featured Red (colour 15) satin ribbon includes a pair of elegant white pearl hearts to complete the style. Insert paper is Dolomite. and to order using product code HH04L.